How to set-up Public Holidays? If you require a special overtime rule for staff working on Public Holidays, you can set this up with the Work Schedules Power-Up. When enabled, you will need to add the Public Holidays that apply to your team, and enable the Public Holiday overtime rule from your work schedules settings. 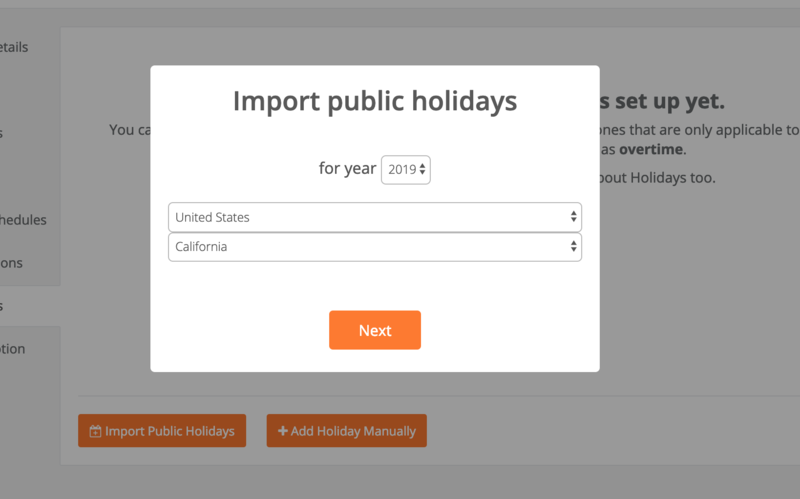 You can decide to import all Public Holidays for a specific country, or manually add the holidays yourself. We recommend starting by importing a list of public holidays, simply because it saves you lots of time! 2. Click on Import Public Holidays, select your Country, and the State (if applicable) and hit Import. If Public Holiday Overtime is enabled, any time logged on these public holidays will now show up as "overtime" and not as "regular hours." You can always decide to edit, delete or add more public holidays if necessary. 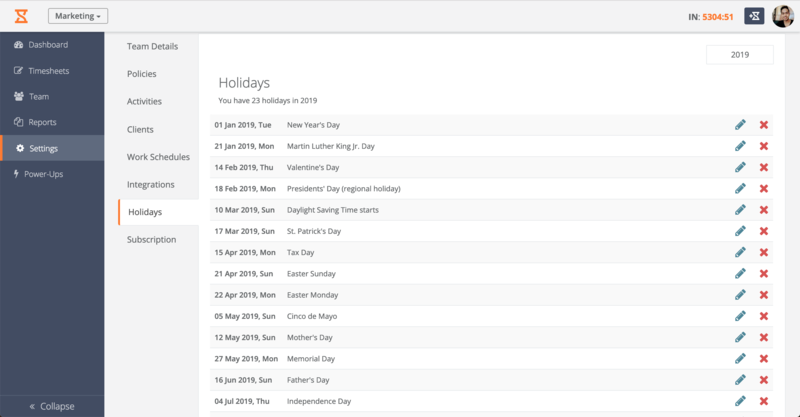 NOTE: The holidays import feature is based on a public database of Public Holidays that are not always applicable to every team. It's highly recommended to verify the dates that apply to your team.